After what feels like forever, Lords of Chaos is at last getting its proper release. And to help give the film one last push, we've got a new teaser trailer to lodge into our brains. As previously reported, the film is based on true events in the Norwegian black metal scene in the early 1990s and was directed by Jonas Åkerlund. It's set to open in theatres on February 8 and then on demand come February 22. Down below, you can get a glimpse of what's in store via a newly revealed trailer. Lords of Chaos is described as "the terrifying story based on real events about a dream-turned-nightmare for a group of teenagers who spiral out of control." The film follows the life of Øystein "Euronymous" Aarseth — the founding member of Mayhem who was murdered in 1993 by Kristian "Varg" Vikernes (Burzum). As the film's press release puts it, Euronymous "becomes fixated on creating true 'Norwegian black metal' music with his band Mayhem, and creates a phenomenon by using shocking stunts to put the band's name on the map. But as the lines between publicity and reality start to blur, acts of arson, violence and a vicious murder shock the nation." Lords of Chaos stars Rory Culkin, Emory Cohen, Anthony De La Torre, Sky Ferreira, Jack Kilmer and Valter Skarsgard, among others. 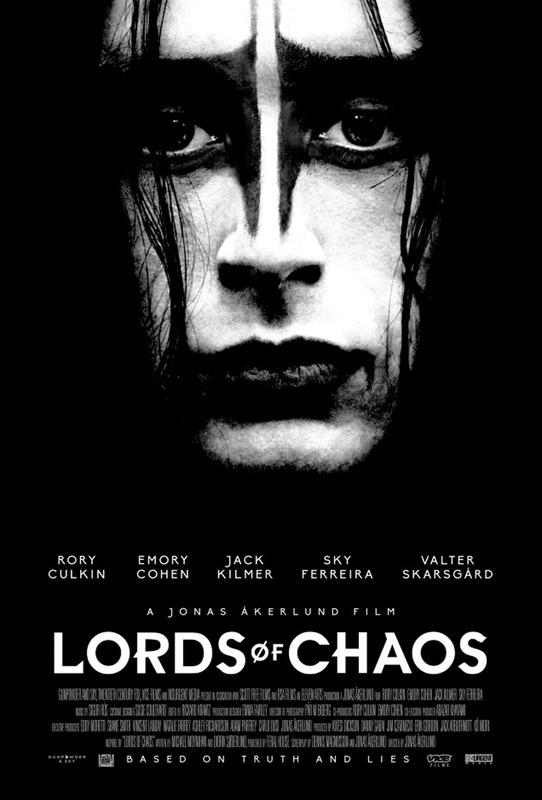 The film is based on the book Lords of Chaos: The Bloody Rise of the Satanic Metal Underground. Varg Vikernes Released from French Prison After Police "Unable to Identify Specific Terrorist Plans"